As a South Florida native and former trial and corporate attorney, I specialize in primary residences and vacation homes in the area. 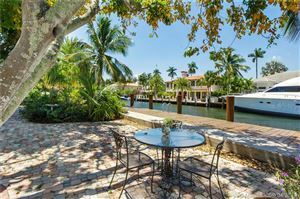 I am extremely knowledgeable about the local market – including, Fort Lauderdale, Oakland Park, Wilton Manors, Lauderdale by the Sea, Pompano Beach, Weston, Hollywood, Plantation, Davie, Sunrise, Hallandale, Aventura, Golden Isles, Harbor Isles, Golden Beach, Sunny Isles Beach, Boca Raton, Delray Beach and Boynton Beach. In 2018, I was the #1 ranked individual Coldwell Banker agent in Broward County. I was also admitted to the Florida 100, a group of the top 100 agents in the State. As a recipient of the International President's Elite, I place amongst the top 2% worldwide. When it's time to move, you need someone who will advertise your home, show to prospective buyers, negotiate the purchase contract, arrange financing, oversee the inspections, handle all necessary paperwork and supervise the closing. I take care of everything you need, from start to close. I'm also a million dollar guild specialist for the Institute for Luxury Home Marketing, as well as a Global Luxury marketing specialist with Coldwell Banker. Oftentimes, buyers don't visualize living in your home the way you do. I can make your home attractive to its ideal audience - which can help you get top dollar. Things like staging, making repairs or minor improvements, or even simply painting the walls can be the difference between a home resting on the market and one that's sold fast. I look forward to speaking with you and welcome smoothing out any challenge you may be facing. I'm always available at Laurie.Spector@FloridaMoves.com or 954 608 7104.